Barry, 61, was born Deaf and grew up in a household learning Italian and English. As a strong oral student, Auslan (the sign language of the Australian Deaf community) was something he first discovered at the age of ten at a basketball game with other Deaf students. This was a pivotal moment in Barry’s life, where he met Donovan who was set to become his life-long friend. Barry first came across WISE Employment when he partook in one of its programs under the Deaf and Hard of Hearing Unit in South Australia. The program provides a range of services to support the Deaf community. Through WISE and this specific unit, Barry was able get ongoing support and career development assistance. From there, Barry started to teach Auslan and more recently joined forces with his friend of fifty years, Donovan, on a business venture that supports the Deaf and hearing community. 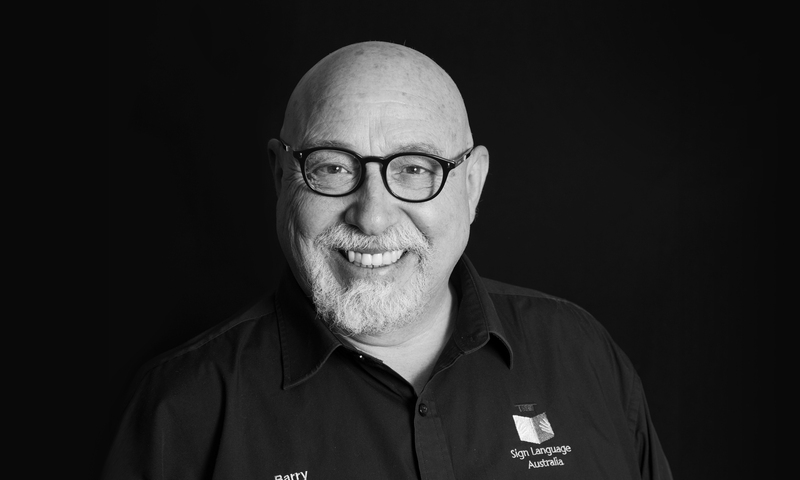 Today, Barry is well-known and highly regarded in the Deaf community across Australia. Moreover, he and Donovan have embarked on a new venture, Sign Language Australia, offering training programs for Deaf, hard of hearing and hearing individuals, families and corporate organisations as well as those living with autism. For Barry, the icing on the cake has also been securing WISE Employment as one of his clients. “WISE are also great advocates of our courses; in fact, we’ve taught Auslan to some of their hearing staff and we’ve also had two Deaf employees participate in our courses,” says Barry. Barry’s friendship with Donovan comes with many inspiring and funny tales. Whilst it began during a game of basketball, they also went to school together, grew up in nearby homes and they’ve supported each other with their expanding families, whilst growing a business. When Barry and Donovan aren’t in training, Barry shows off his comedic skills with his “Naughty Hands” show. “Naughty Hands is a great way for me to shine the spotlight on Deaf culture in a fun and engaging way. It’s interactive, it makes people laugh and by the end of the show not only are you learning how to sign in your favourite naughty words, you’re equally learning a thing or two about Auslan. I love it! And I enjoy taking the show to comedy festivals around the country,” explains Barry. Barry is optimistic about the future of bringing Auslan into more people’s lives. His aim is to improve the lives of his fellow Deaf and hard of hearing Australians, by sharing the language and culture with all Australians.